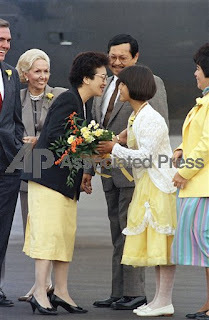 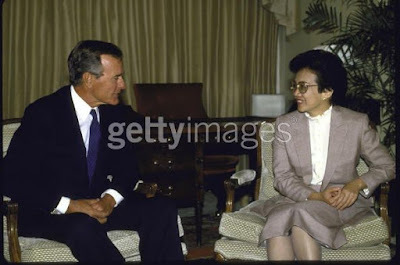 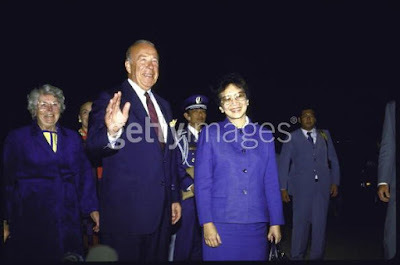 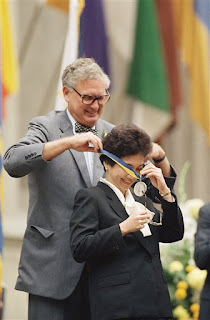 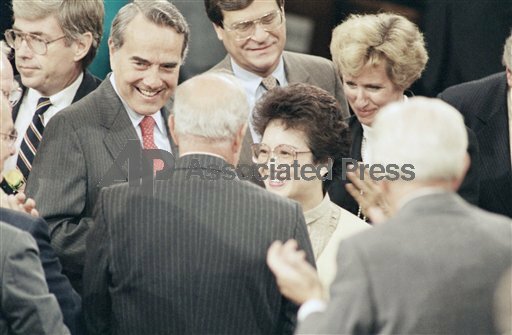 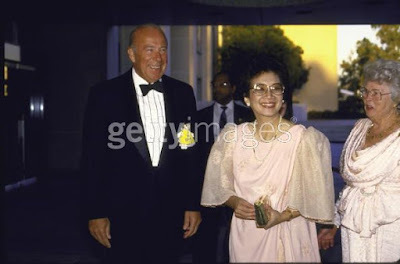 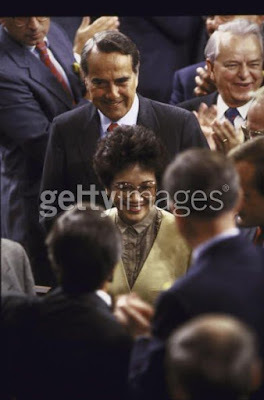 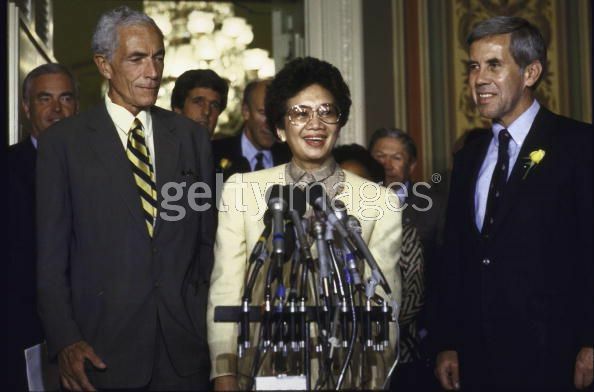 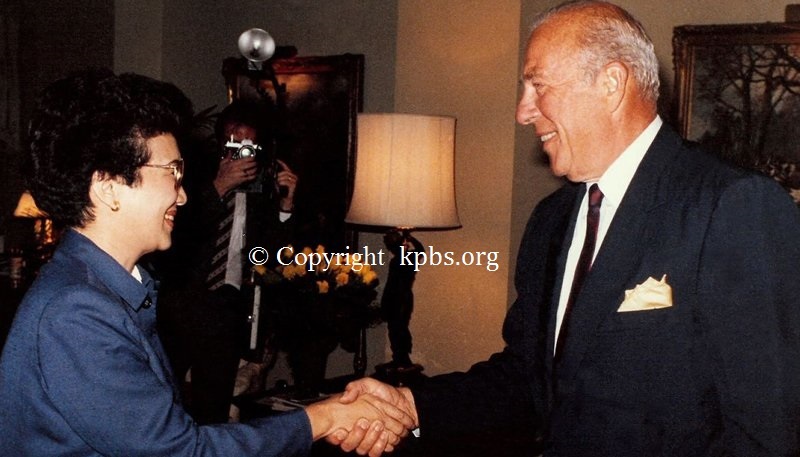 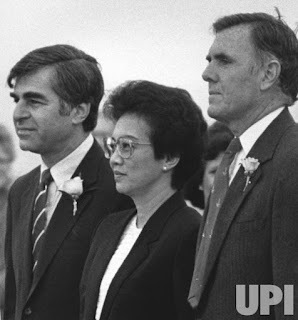 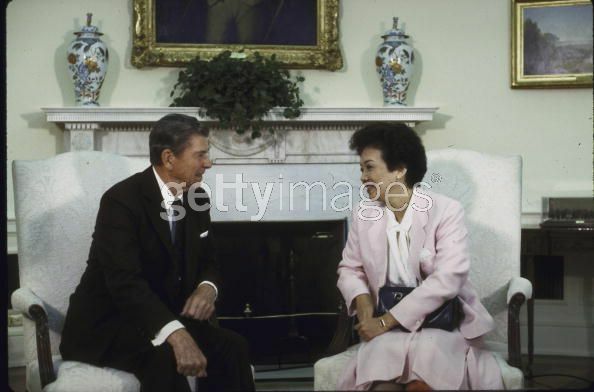 Pres.Corazon Aquino welcomed by California Governor George Deukmejian & his wife, Gloria at San Francisco Airport .Mrs.Aquino stopped in San Francisco briefly before continuing to Washington. 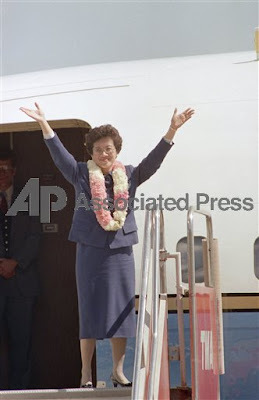 San Francisco Airport as she boards Air Force Two for a fight to Washington. 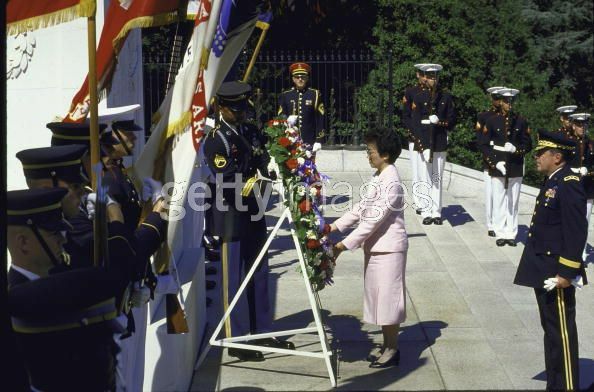 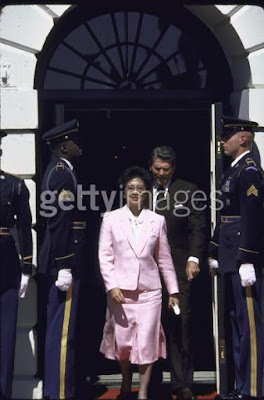 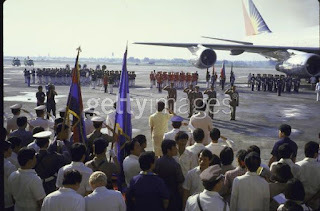 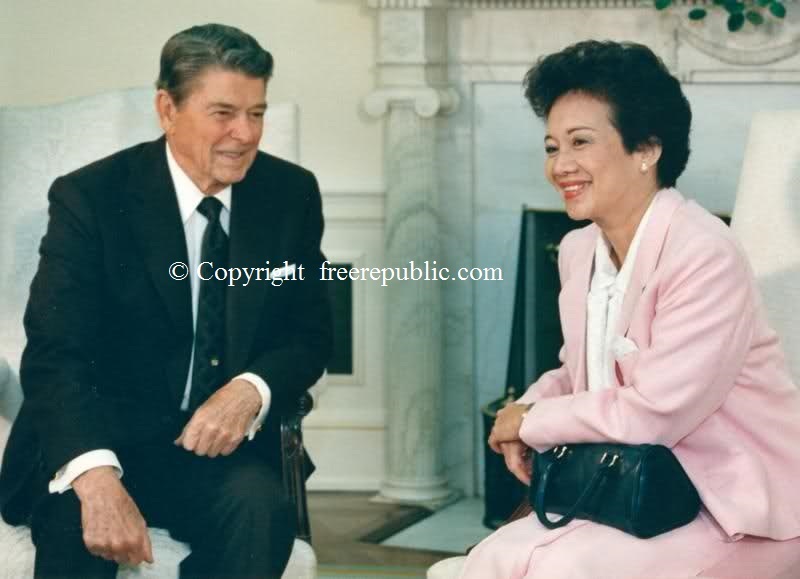 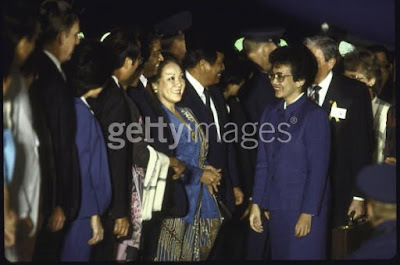 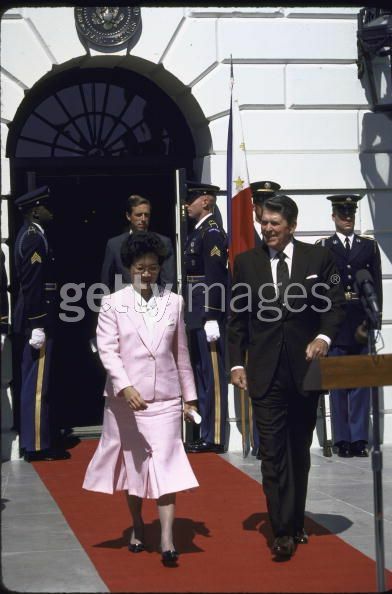 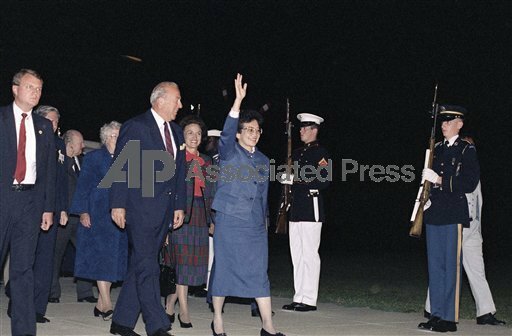 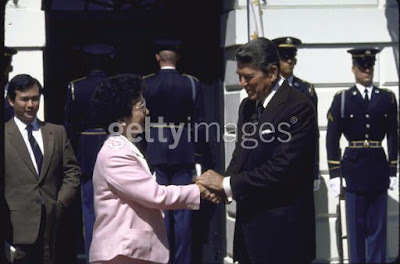 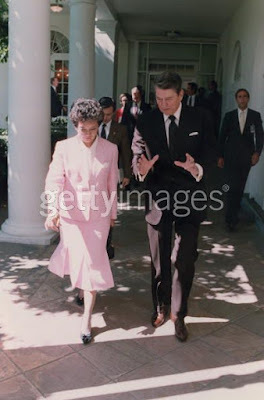 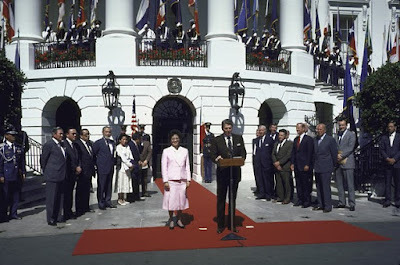 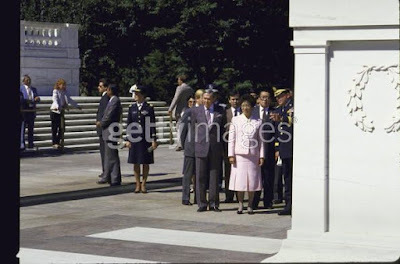 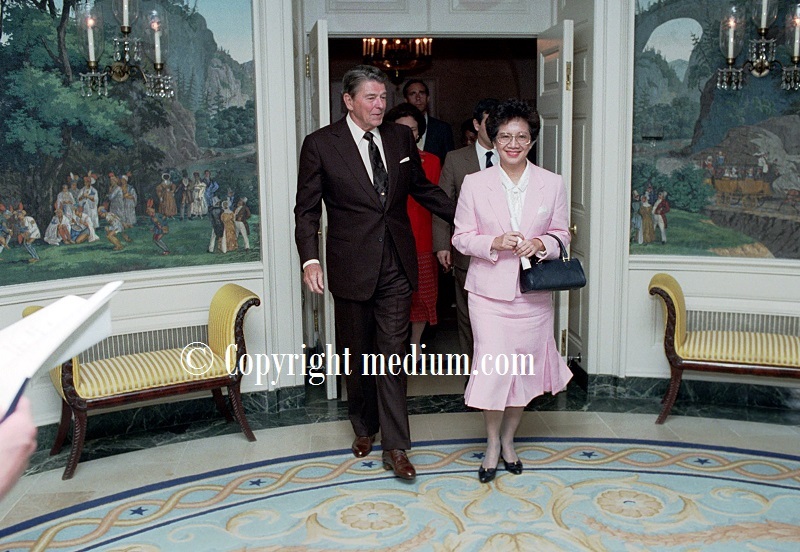 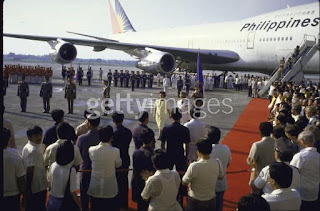 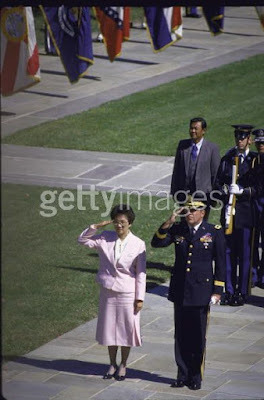 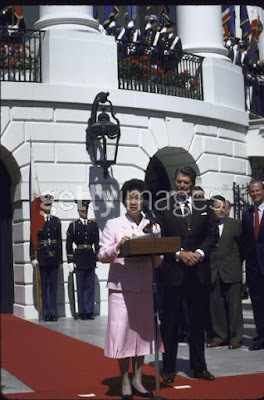 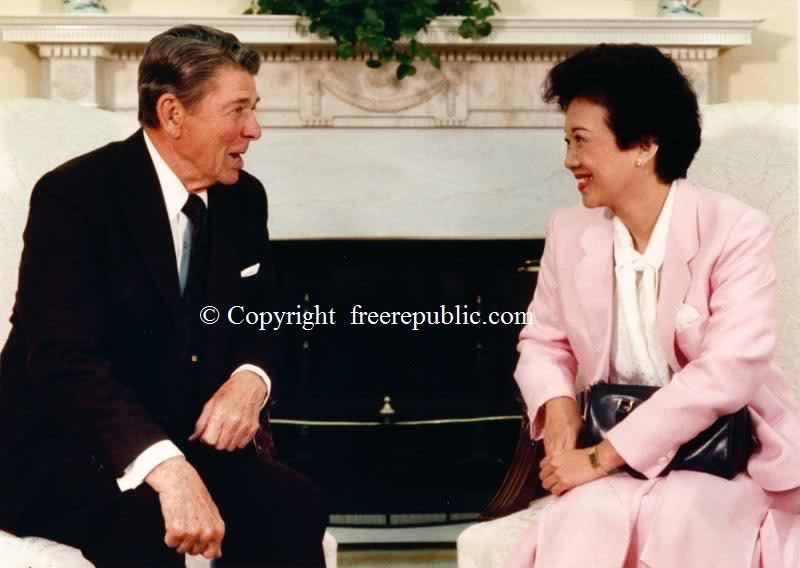 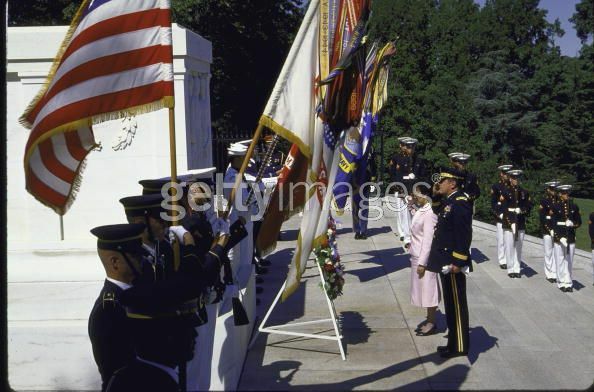 upon arrival in Washington, D.C.
Pres.Corazon Aquino arrival in Washington, D.C.
Pres. 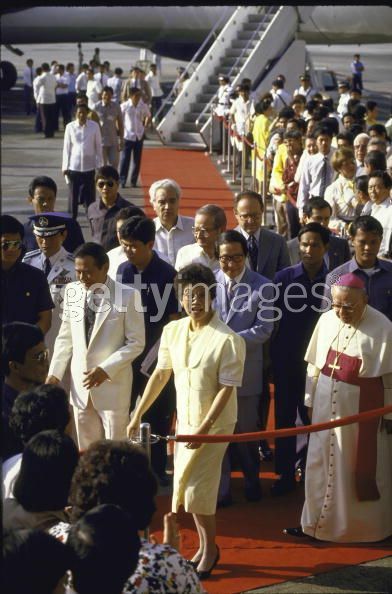 Corazon Aquino meeting with Vice Pres.George Bush Sr.
Pres.Corazon Aquino, along with her daughter Veil & Ambassador Emmanuel Pelaez attend Mass at the National Shrine of the Immaculate Conception. 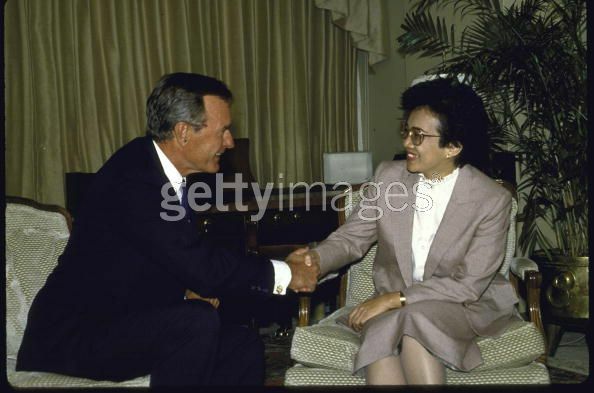 a 45-minute one-on-one meeting and a working lunch. at the State Department in Washington. 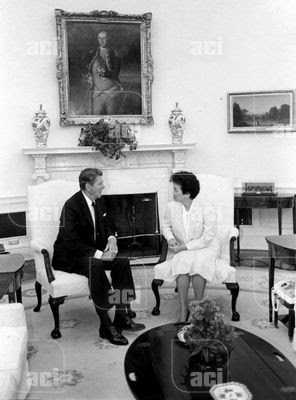 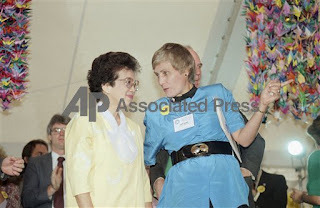 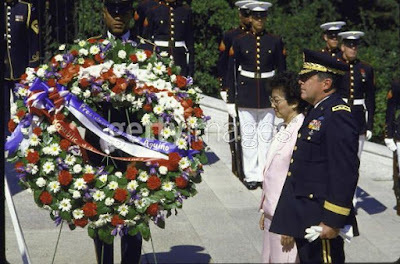 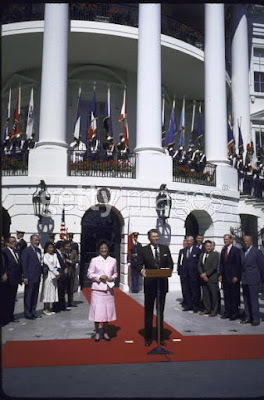 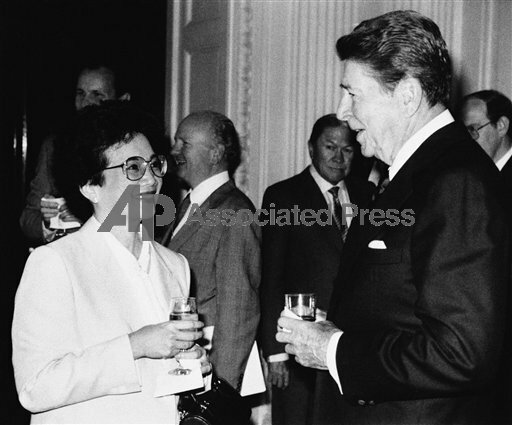 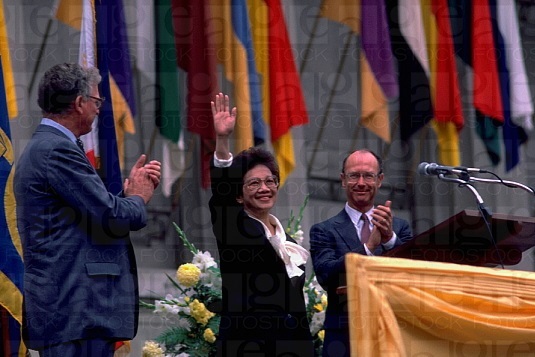 Pres.Corazon Aquino with Peace Corps Director Loret Miller Ruppe, Mrs. Aquino addressed a session of the 25th anniversary, national conference of returned Peace Corps volunteers in Washington. 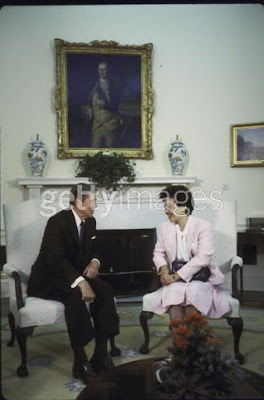 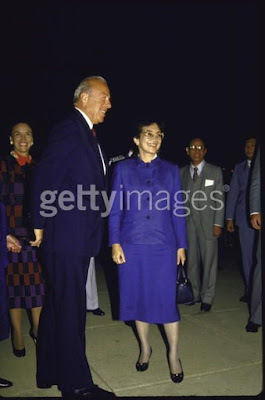 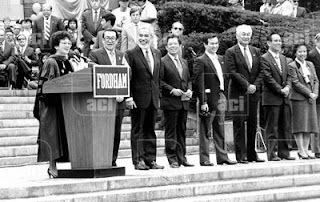 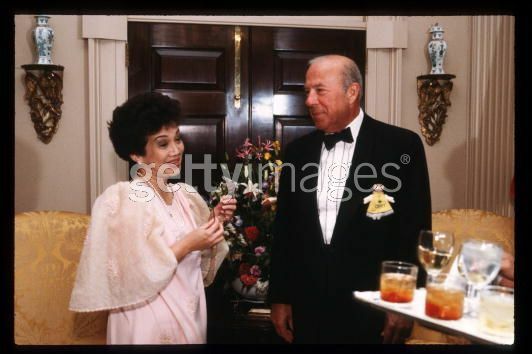 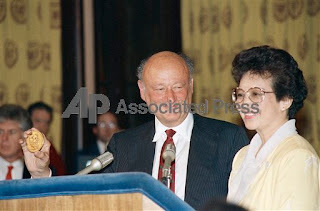 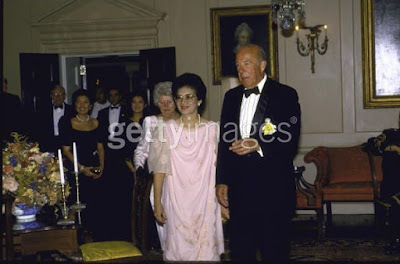 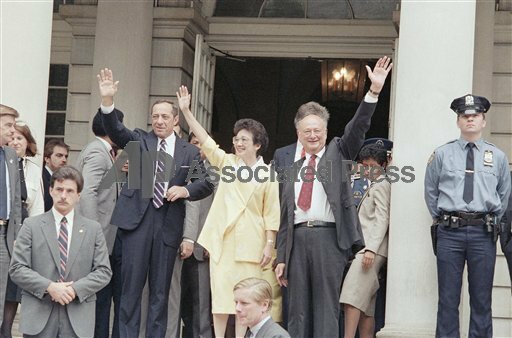 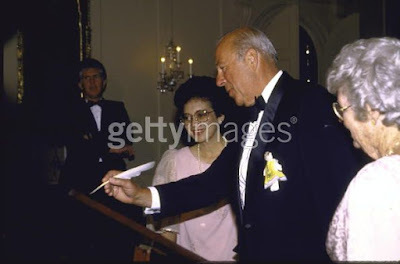 New York State Governor Mario Cuomom & New York City Mayor Ed Koch. 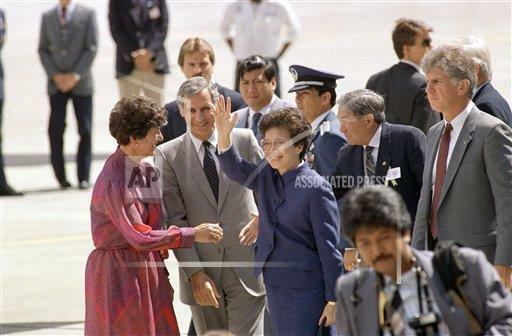 Massachusetts Governor Michael Dukakis on her arrival at Boston Airport. 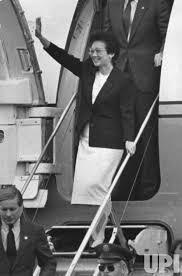 upon arrival at Boston Airport. 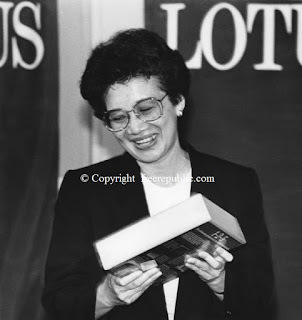 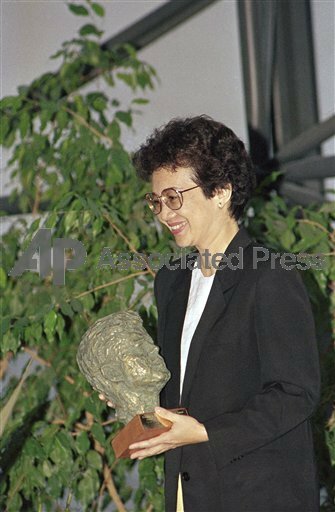 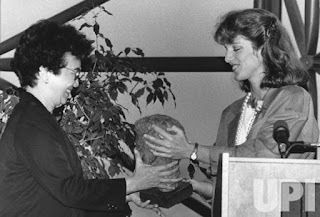 Pres.Corazon Aquino holding a ceremonial gift of 1-2-3- Lotus software presented to her when she visited the headquarters of Lotus Development Corporation. 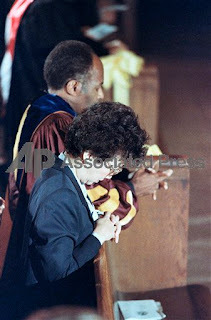 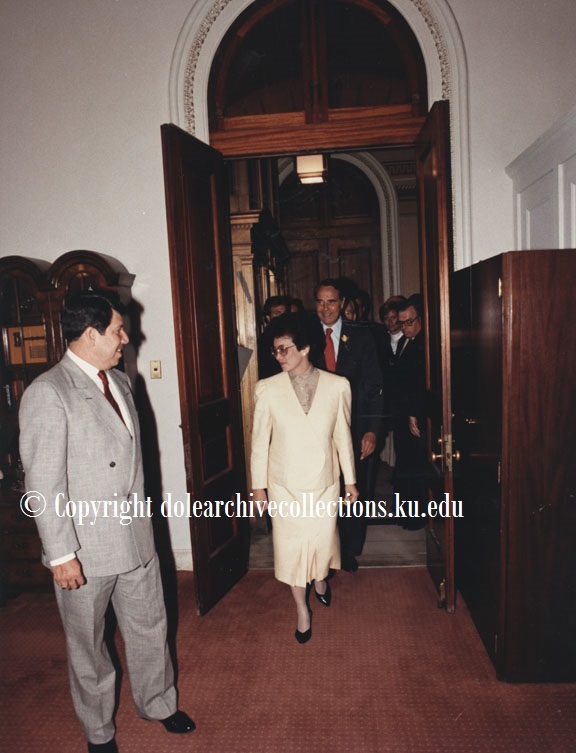 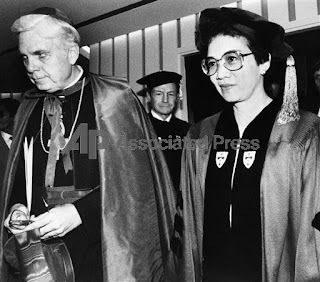 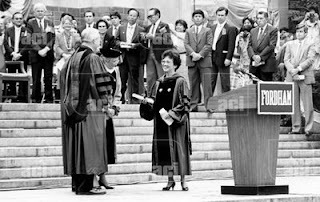 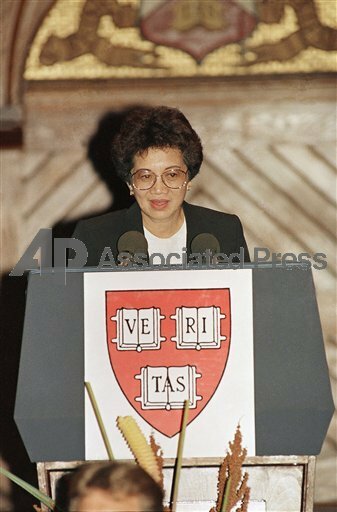 Pres.Corazon Aquino with Cardinal Bernard Law at Boston University where she received an honorary Doctor of Laws degree. 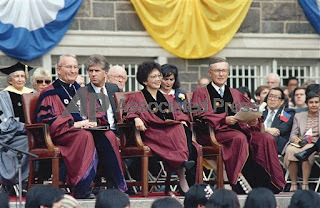 The university’s President John Silber appears in background. 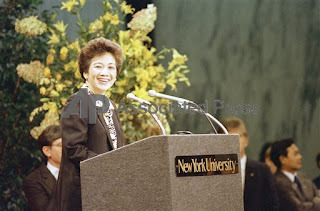 Pres. 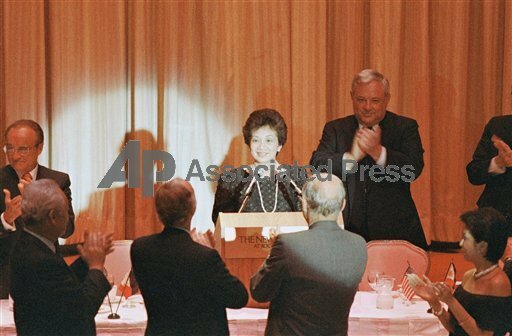 Corazon Aquino addressing a banquet held in her honor in New York Hilton Hotel. At right is Joseph M. Saggese, co-chairman of the Dinner and Trustee, Pres.& CEO of the Economic Club of New York, Borden World Trade, Inc.
Pres. 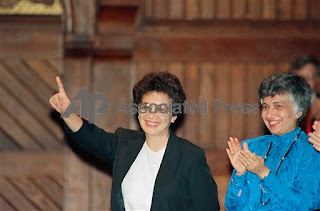 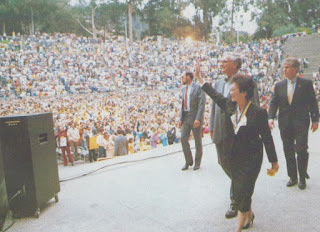 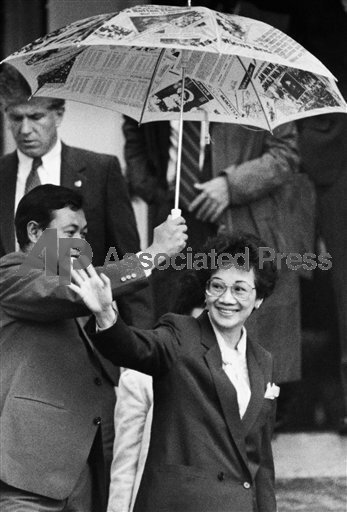 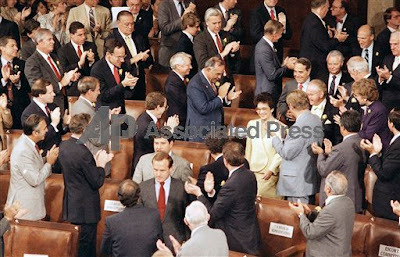 Corazon Aquino waves upon leaving her former home in Newton, Massachusetts. 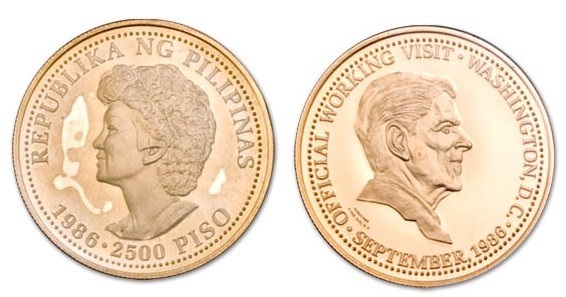 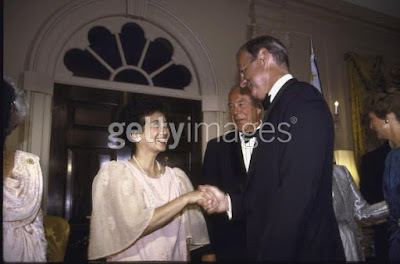 Newton is where Aquino last lived with her husband, Benigno, before his assassination. 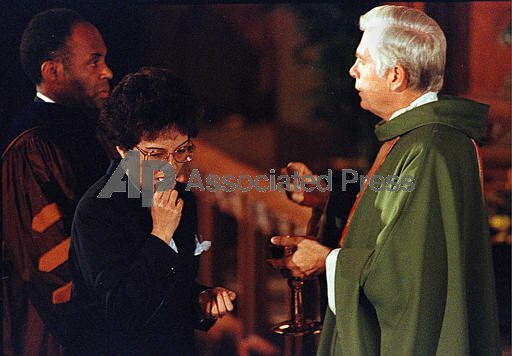 Pres.Corazon Aquino receives Holy Communion from Cardinal Bernard Law during Mass at St. Ignatius Church in Newton, Massachusetts. 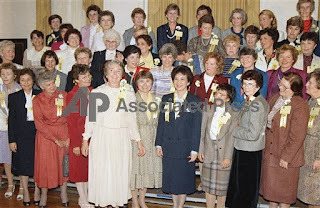 Pres.Corazon Aquino poses with her classmates from Mount St. Vincent College in New York during a reunion visit to the school. 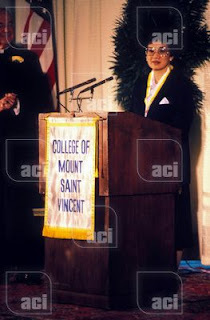 In a ceremony at South Hall, Mrs.Aquino accepted the college’s highest honor, the Elizabeth Seton Medal. 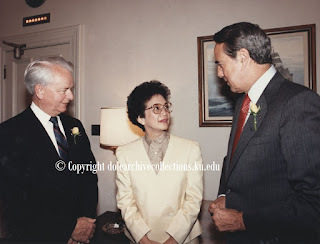 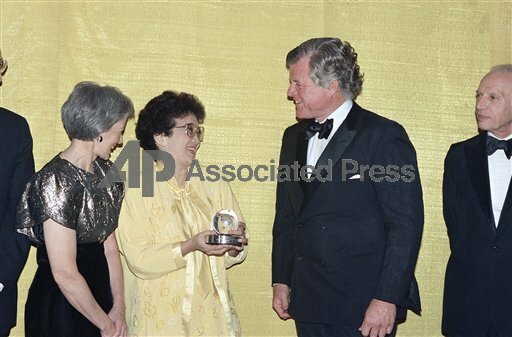 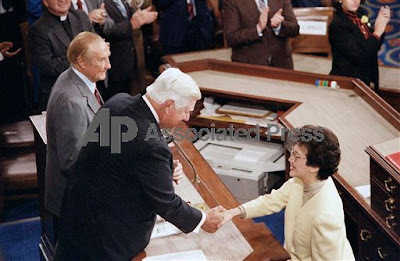 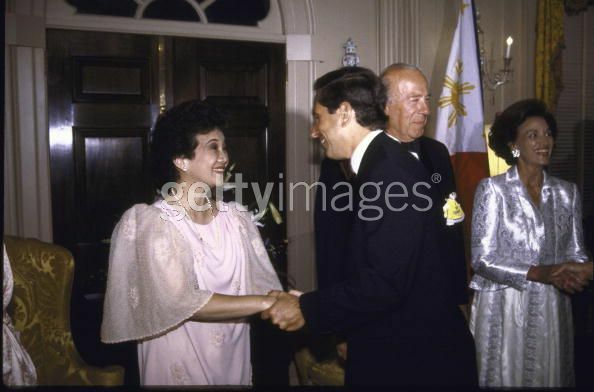 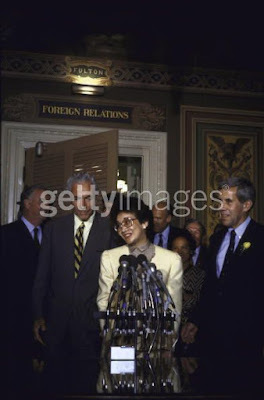 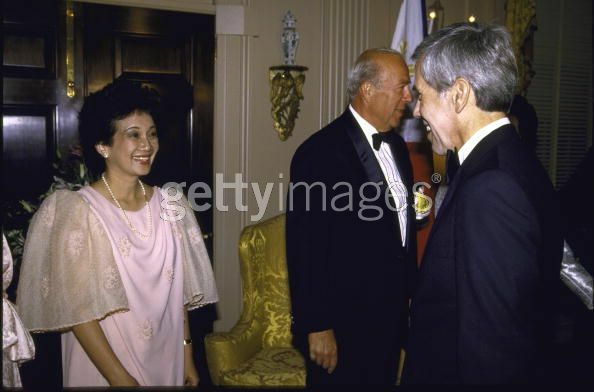 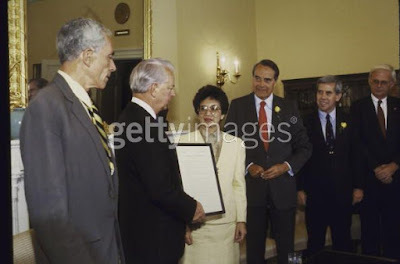 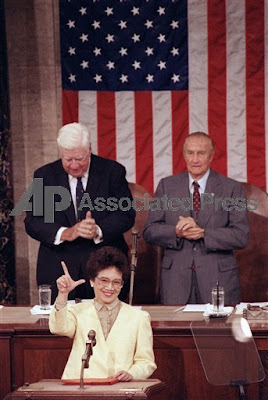 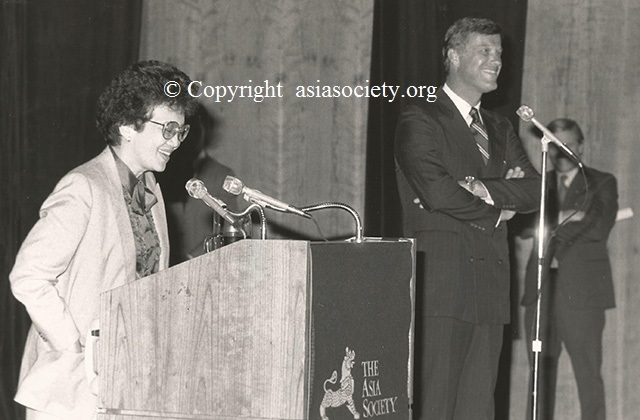 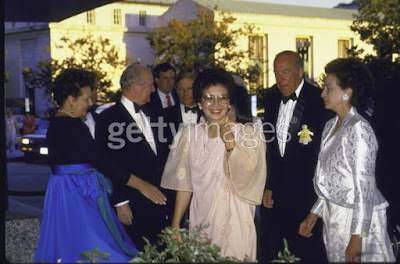 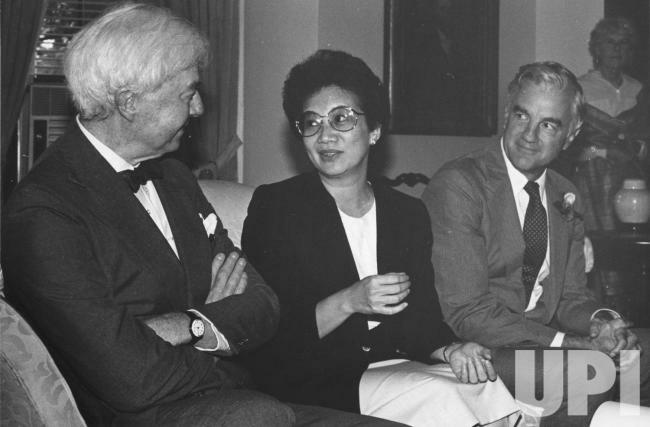 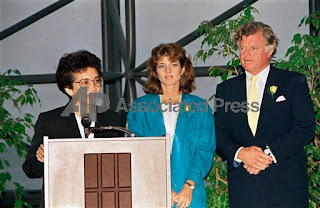 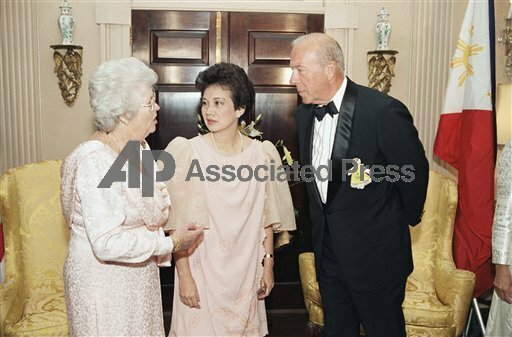 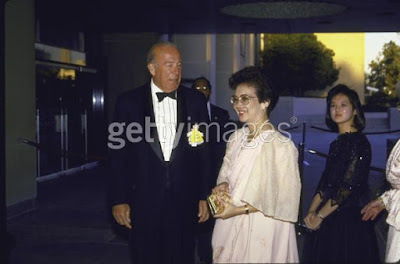 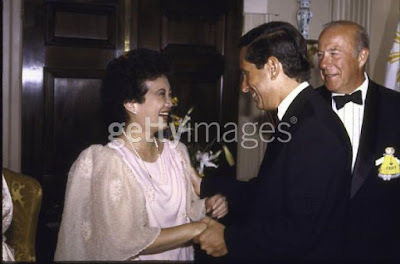 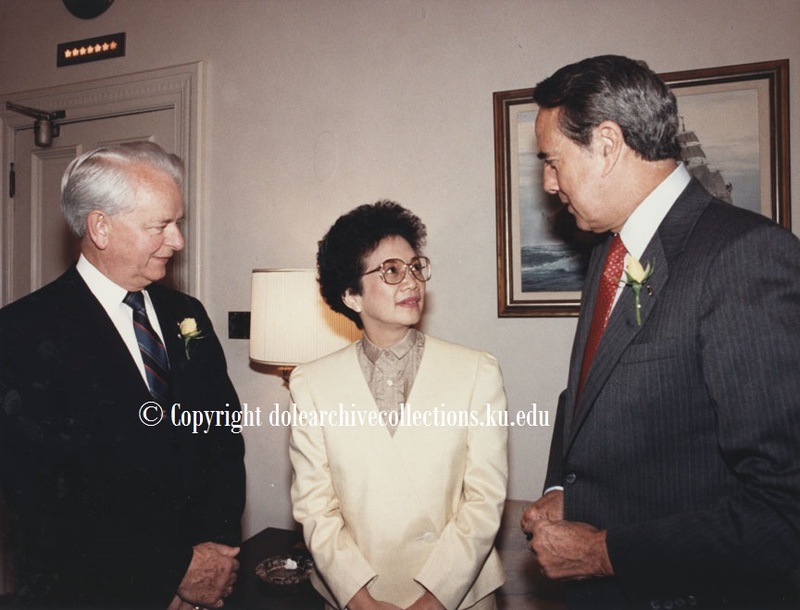 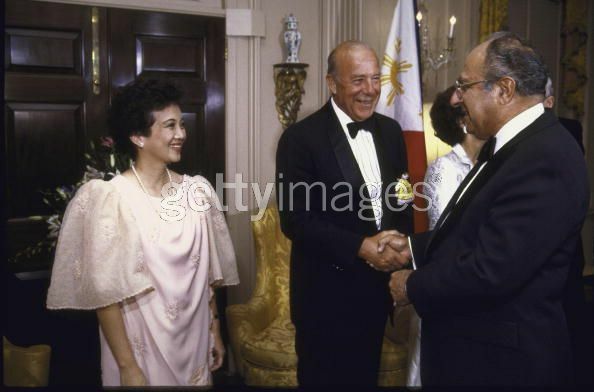 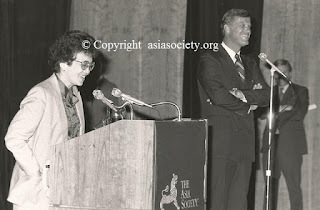 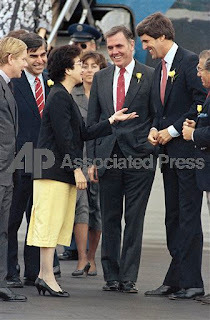 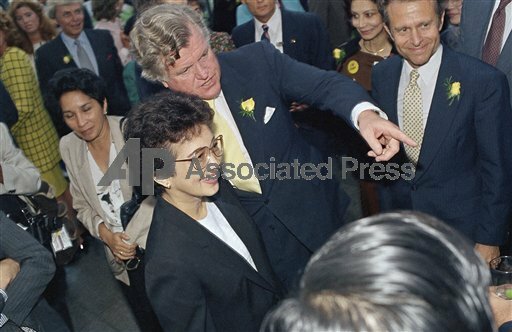 Pres.Corazon Aquino with Senator Nancy Kassebaum & Senator Edward Kennedy at New York’s Pierre Hotel after she received the Lawyer’s Committee For Human Rights Award .The committee is a US based public interest law center that monitors, investigates and reports human rights throughout the world. 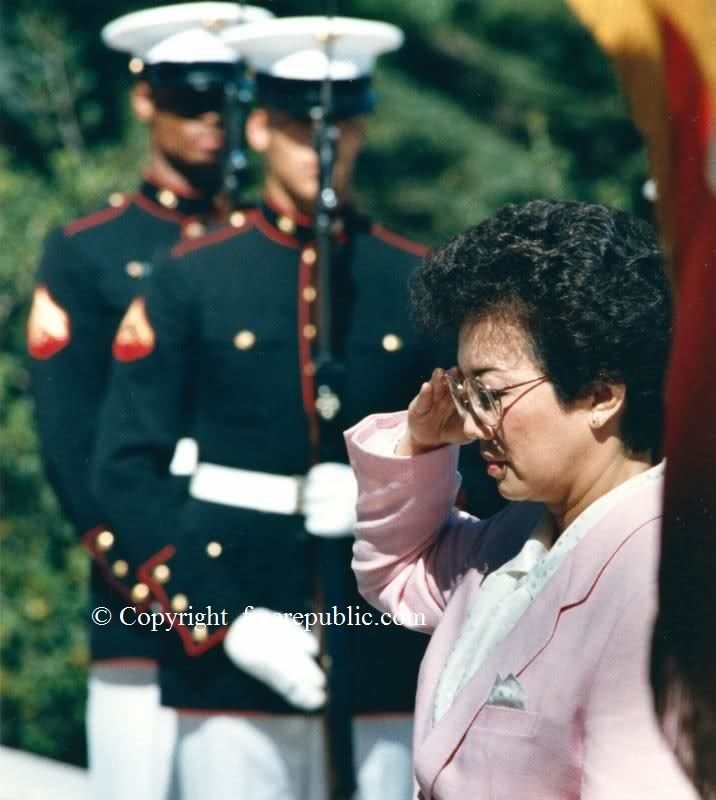 Pres. 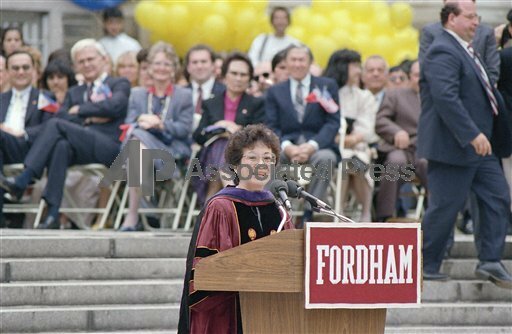 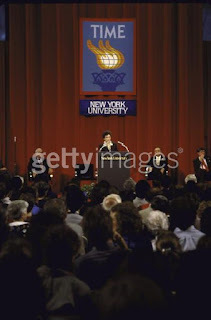 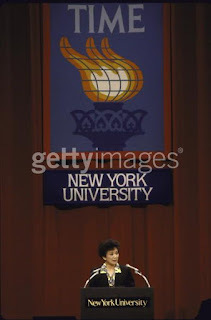 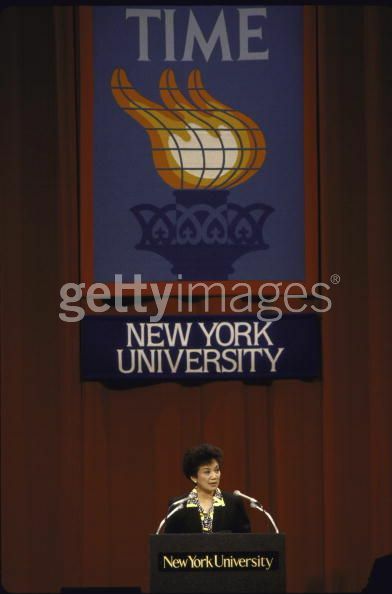 Corazon Aquino speaks to a crowd of 8,000 cheering Filipino-Americans at New York’s Fordham University . 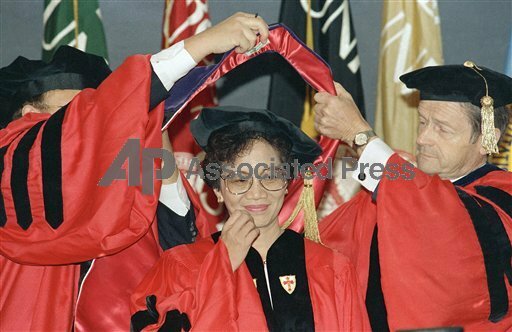 Mrs. Aquino received an honorary doctor of laws degree. Pres. 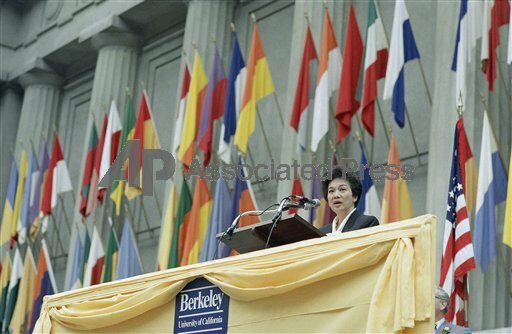 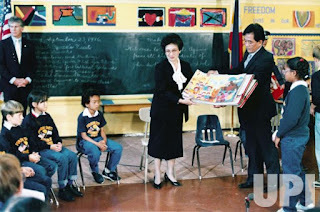 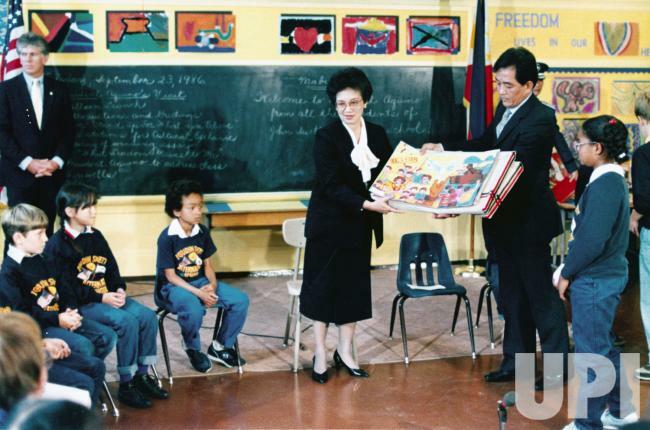 Corazon Aquino received an honorary doctor of laws degree. 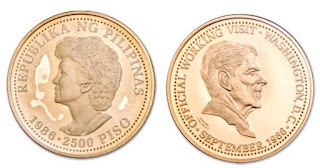 Pres. 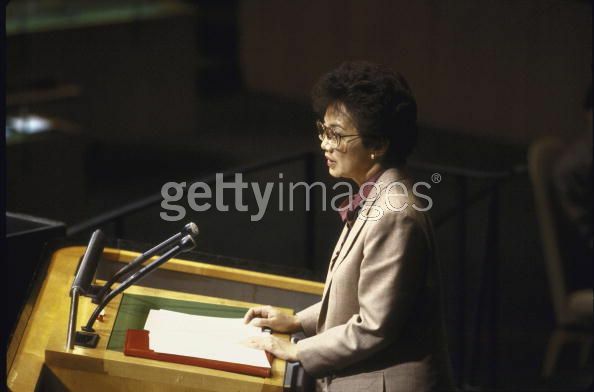 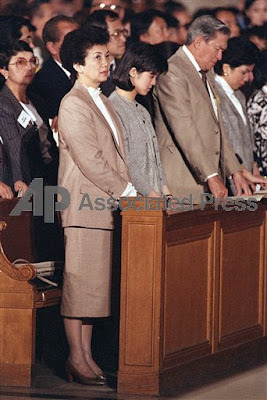 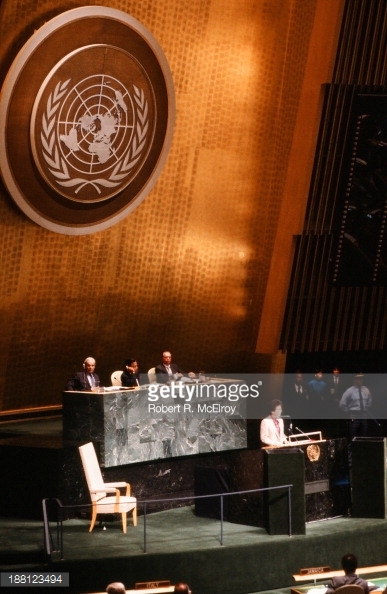 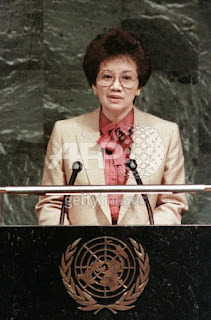 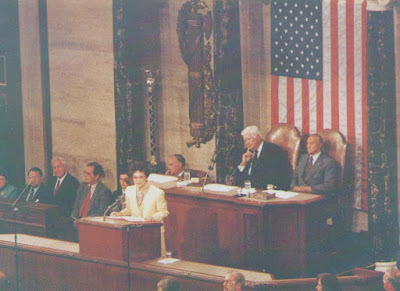 Corazon Aquino before addressing the United Nations General Assembly. 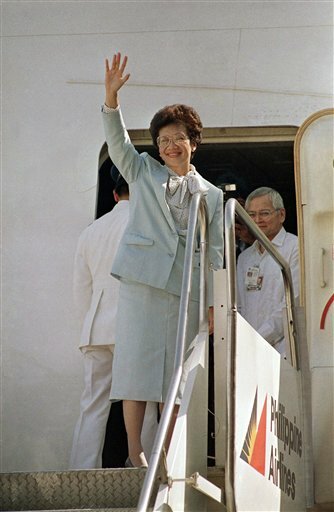 Pres. 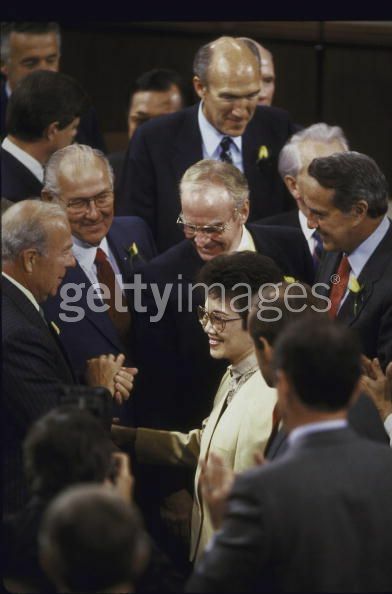 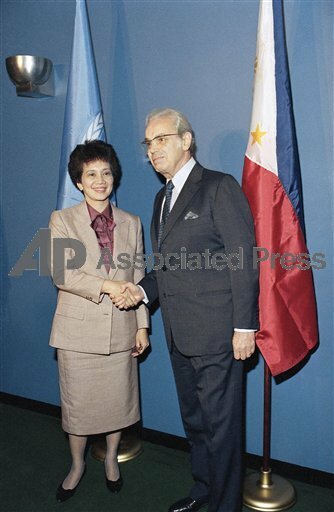 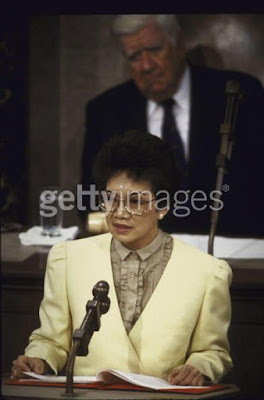 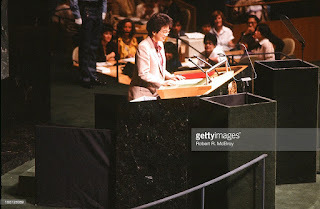 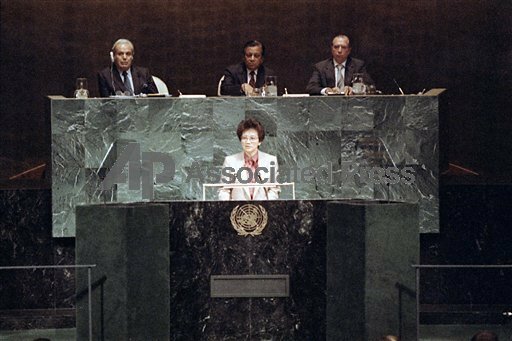 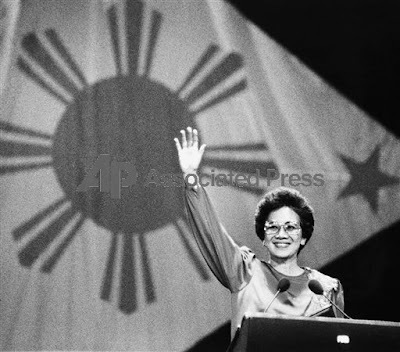 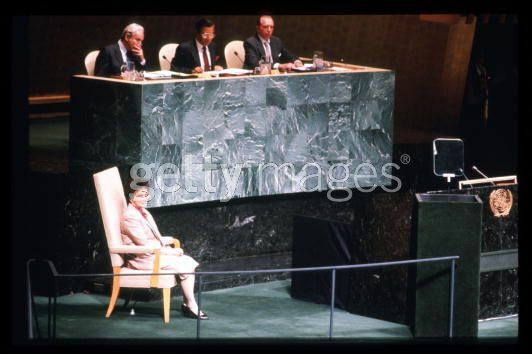 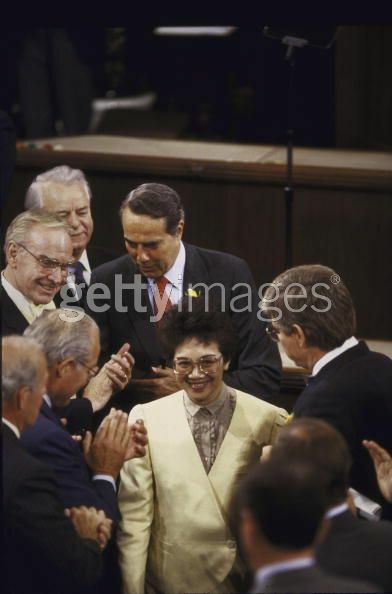 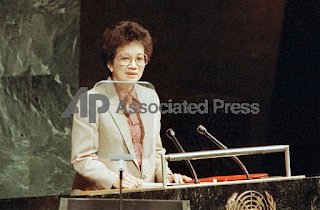 Corazon Aquino addressing the United Nations General Assembly,behind her are U.N. Secretary-General Javier Perez de Cuellar, U.N. General Assembly Pres. Humayun Rasheed Choudhury, and Under-secretary General William Buffum. 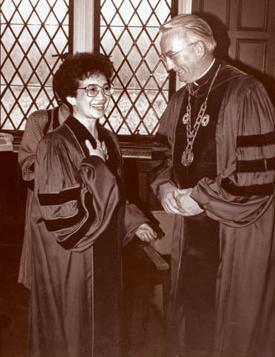 the highest honor of the campus, from Chancellor Ira Michael Heyman. 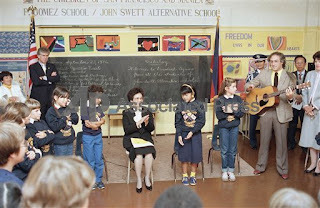 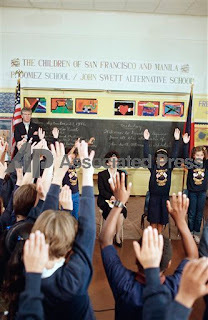 San Francisco’s John Swett Alternative School. 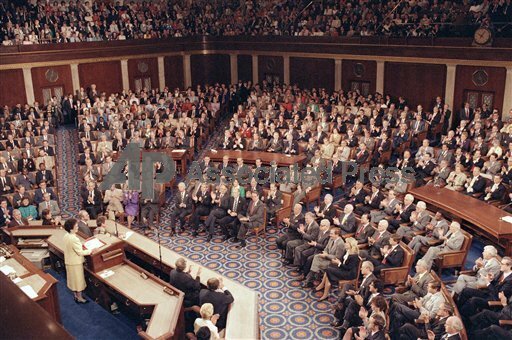 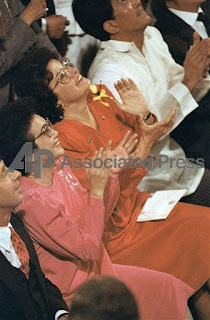 San Francisco Mayor Dianne Feinstein & Pres.Corazon Aquino look toward the dome of San Francisco’s City Hall and applaud during ceremonies honoring the president. Mayor Feinstein presented Mrs.Aquino a key to the city. Pres.Corazon Aquino waves to a crowd in San Francisco as she arrived for a fund raising dinner sponsored by San Francisco’s Filipino American Committee.